United Engineering is a manufacturer of aerospace structural components, serving the industry since 1962. The company has been built with hands-on ownership, assuring dedication to a quality product. We serve the major manufacturers of commercial and military aircraft as well as the space industry. 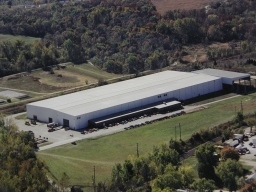 United is an AS9100 compliant factory located 20 miles south of St. Louis, MO with easy access for both truck and rail. Over 200,000 square feet of manufacturing and office space are offered on 22 acres of fenced ground. The company is continually upgrading it's facilities, equipment and employee development programs to insure a long term future in the aerospace industry. While this site gives some insight into United Engineering, we invite our customers to contact us and arrange a personal tour of our facility.